We have horses, as most of you know. 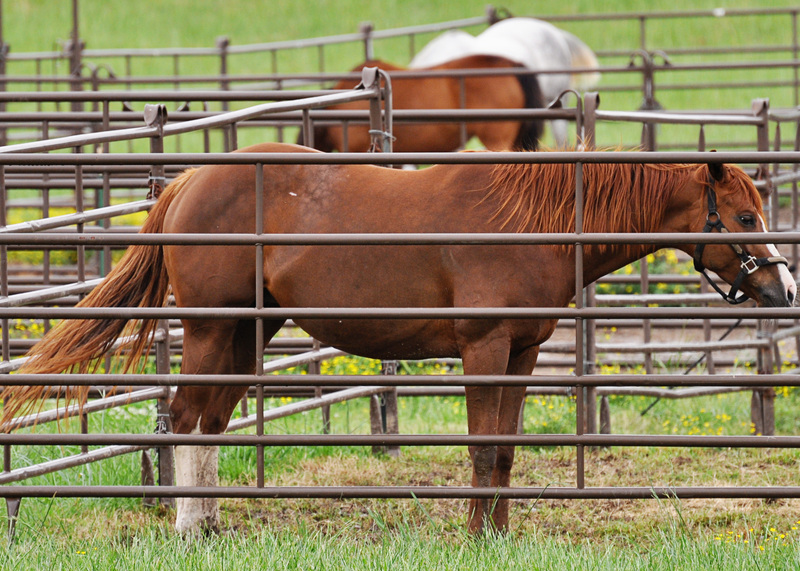 The new mare and her baby are penned in a smaller place to protect them for the time being. 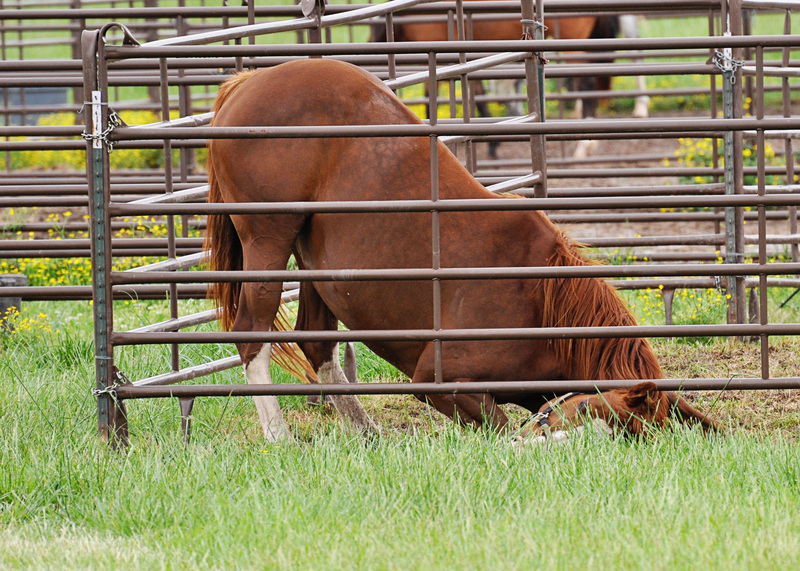 The smaller space means there is a limited amount of grass in this turnout, requiring the mare to stoop to her own resources in the procurement of fresh grass. She does not lack for fresh hay, but fresh spring grass is more tempting than a human can imagine. What is this? A circus horse taking a bow, very low and deep? This is an exceptionally bred horse with unique abilities. According to Corvette Man this horse is listening for earthquakes. Really? 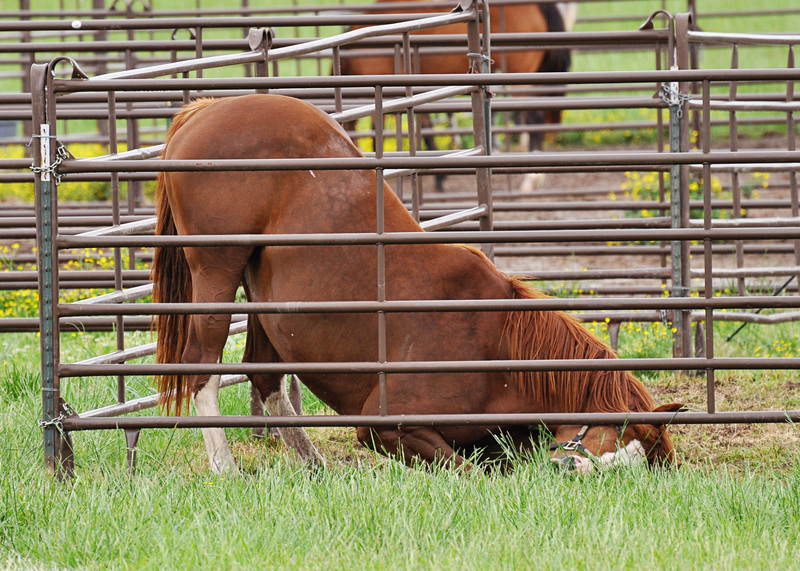 Is that really the reason for her head laying flat on the ground when a normal horse stands securely on two feet? Oh, looks likes we’re in the clear!! If you look very closely, you can see she has nibbled blades of grass between her horse lips. Can you see her head under the bottom rail? I have to giggle every time I watch her do this. This is desperation, pure and unadulterated. Undaunted she forages. I love it! i have seed this before. don’t buy the earthquake story. this horse has got a hold of a bean burrito.